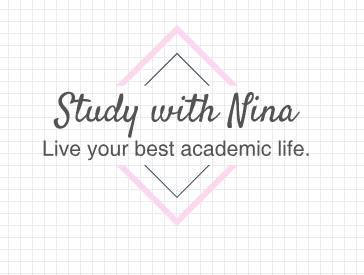 Study with Nina – Live your best academic life. I’m a college student who loves learning and helping others to improve their lives, which led me to create this blog. I upload posts and videos (as well as images of my own studying on my study instagram and tumblr). My goal is to help my readers and viewers to improve their academic lives: including their grades, health, relationships, and more. I hope that you find this content helpful — if so, drop me a comment on my contact page, or a question/request if you think I’m missing something! Happy studying!